Nintendo of America has released a whole bunch of sales data this morning, giving us more details on Nintendo Switch, Nintendo 3DS, and Nintendo Classic Gaming System sales in the United States. The Switch has become the bestselling Nintendo console in US history for the period between Thanksgiving and Cyber Monday. It was also the bestselling week ever for the Nintendo Switch in the US, so demand for it is pretty strong. Other notable points include Super Mario Party surpassing 1 million copies sold in the US, Pokemon Ultra Sun and Ultra Moon selling over 2.2 million copies in their lifetime, and 4.5 million NES and SNES Classic Edition systems sold since their respective launches. Nintendo Switch set two new records from Thanksgiving to Cyber Monday: It became the best-selling Nintendo console in U.S. history for that five-day period, surpassing even Wii system sales. Nintendo Switch also had its best-selling week ever in the United States. In fact, according to Adobe Analytics, Nintendo Switch was among the most-purchased items online on Thanksgiving Day and the overall top-selling video game product online for the Black Friday-Cyber Monday time period. Strong demand resulted in shoppers buying more than $250 million in Nintendo products from Thanksgiving through Cyber Monday, according to Nintendo’s internal sales figures, demonstrating that Nintendo has something for everyone this holiday season. 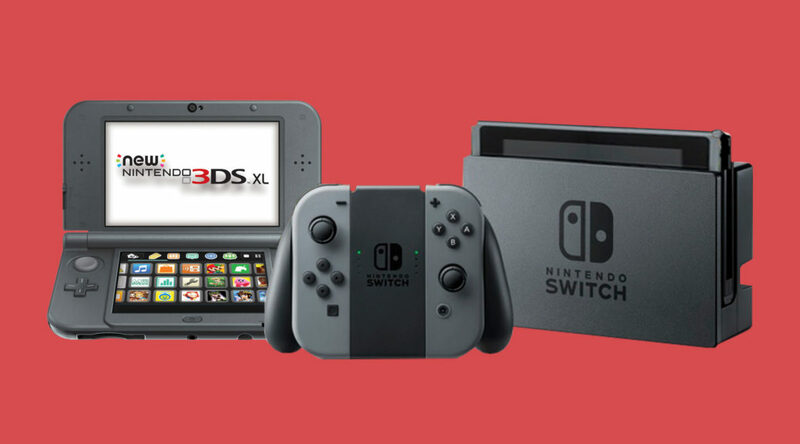 That sales total accounts for video game systems like Nintendo Switch and the Nintendo 3DS family of systems, retro systems like Nintendo Entertainment System: NES Classic Edition and Super Nintendo Entertainment System: Super NES Classic Edition, as well as all Nintendo-produced games and accessories. Total U.S. hardware sales for Thanksgiving through Cyber Monday increased 45 percent over the same period in 2017. And that doesn’t even take into account that one of the most anticipated video game events of the year is still to come: the Dec. 7 launch of the Super Smash Bros. Ultimate game. As previously announced, the game has become not only the most pre-sold Nintendo Switch game of all time, but also the most pre-sold Super Smash Bros.game ever in the series. Nintendo Switch hardware sales grew 115 percent compared to the same period in 2017. Lifetime sales of Nintendo Switch, which is entering only its second holiday season, have reached more than 8.2 million units. Sales of first-party games, including digital downloads, topped 1 million units Nov. 22-26, beating 2017’s totals by 78 percent. Nintendo Switch games Pokémon: Let’s Go, Pikachu! and Pokémon: Let’s Go, Eevee! have hit combined U.S. sales of more than 1.5 million units since their Nov. 16 launch. Super Mario Party surpassed lifetime U.S. sales of 1 million units, becoming the fastest-selling game in the Mario Party series and the fifth million-selling first-party Nintendo Switch game in the U.S. alone, joining The Legend of Zelda: Breath of the Wild, Mario Kart 8 Deluxe, Super Mario Odyssey and Splatoon 2. Thanks in part to strong Thanksgiving to Cyber Monday sales, the total installed base for the Nintendo 3DS family of systems has hit 22 million. Additionally, after 12 months of availability, lifetime combined sales of the Pokémon Ultra Sun and Pokémon Ultra Moon games crossed 2.2 million. Also aided by strong Nov. 22-26 sales, the Super Nintendo Entertainment System: Super NES Classic Edition system surpassed lifetime sales of 2.5 million. And the Nintendo Entertainment System: NES Classic Edition system surpassed lifetime sales of 2 million.